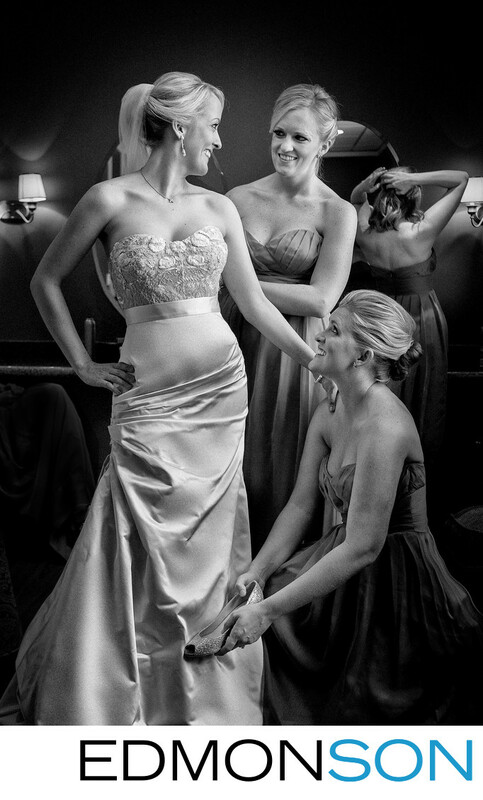 Inside the First United Methodist Church in downtown Dallas, bridesmaids help the bride put on her shoe and make final adjustments to her dress. In the background, other ladies are fixing their hair before the ceremony. 1/100; f/5.0; ISO 1250; 42.0 mm.